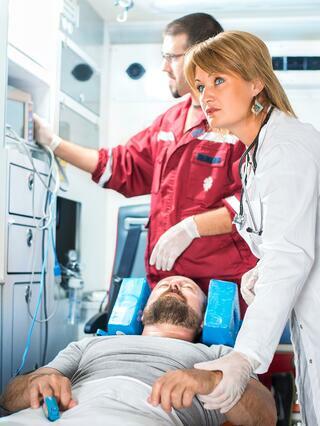 Have you or a loved on been harmed or injured in an accident that wasn't your fault in Fayetteville, GA? Personal injury accidents usually involve both physical and financial difficulties for you and your family, and understanding your legal rights and options can be confusing and overwhelming. Our top-rated personal injury attorneys in Fayetteville can help you towards your recovery and get you the compensation you rightfully deserve. Our attorneys are highly skilled at negotiating the terms and details of your injury lawsuit and have represented many injury cases similar to yours for over 23 years. We are here to help you and your family, please contact us today. The purpose of personal injury law is to protect the rights of a person after that have been injured or suffered harm due to someone else's carelessness or intentional conduct. The injured party can get legal remedy for all losses stemming from an accident or other incident through civil court proceedings. We can help put a dollar value on your injury. Our legal team will carefully gather all facts, interview all individuals necessary, determine your losses, and hold the involved parties liable for the extent of your injuries. Accidents- Georgia personal injury laws applies in instances when someone else acts in a negligent manner and that carelessness causes harm to another person, eg., car accidents, slip and fall incidents, and medical malpractice, among other types of cases. Defective Products- These situations are far less common where a defendant can be found liable for injuries without any intentional wrongdoing or negligent. Examples of this include certain types of product liability claims arising from a defective product. Defamation- Personal Injury laws apply when one person's defamatory statement causes harm to another person's reputation. 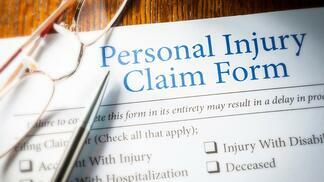 How are losses compensated in a personal injury claim? In a lawsuit for personal injury, you collect financial compensation or "damages" from the at-fault party if you result in a winning case. The purpose of collecting damages is to make the plaintiff "whole again" after undergoing harm or an injury. In certain situations, rewarding a plaintiff with financial gain cannot compensate for the painful injuries endured or suffering experienced, but the goal is to best put the injured person back into the position he or she would have been if the injury had not occurred. Statue of Limitations are established by state law and often vary by the type of injury. In the state of Georgia, there is a two-year statue of limitations for personal injury, fraud, and medical malpractice claims; but personal property, trespassing, and debt-collection claims have a four year limit. The intentions of time restrictions on claims is to ensure the integrity of evidence and to prevent people from threatening lawsuits indefinitely. This is because the “tortfeasor” who directly harmed the plaintiff- be it a pharmaceutical rep, truck driver, gas station tenant, or other individual-may not have the financial resources to pay a large sum. An experienced Fayetteville injury lawyer can pinpoint and sue additional parties who are liable based on their relationship to the tortfeasor, such as an employer or landlord. Our professional legal team interacts with clients, staff, and all involved in the legal process on a professional and personal basis. We take pride in our passion for each and every client we represent and most importantly our negotiating skills are exceptional in attaining a winning settlement. Entrust in our Fayetteville Accident Injury Attorneys with you lawsuit, it's important to act quickly to preserve your rights. Click the link below for your Free Consultation.